Hai Bro Sis ... The new Ducati Hypermoto 939 combines to perfection the power of the 110 hp engine Testastretta 11 ° latest generation and technology of driving modes, power modes and the Ducati Safety Pack. Do not put a brake on the energy: thanks to its total control and its extreme adaptability, take you on the roads with all the ardour of Hyper. 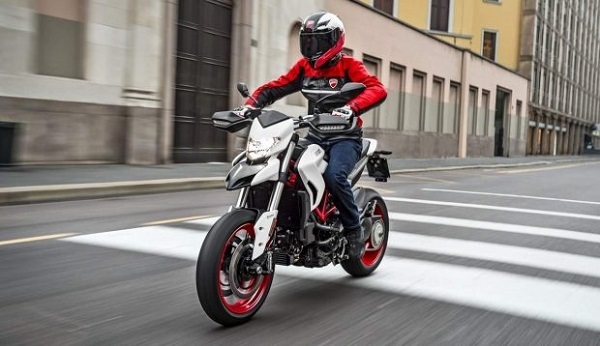 A lack of weight new well what Ducati has introduced in its 939 2018 the new color White Star silk Ducati Hyperbiker, accompanied by the chassis and tires in red. 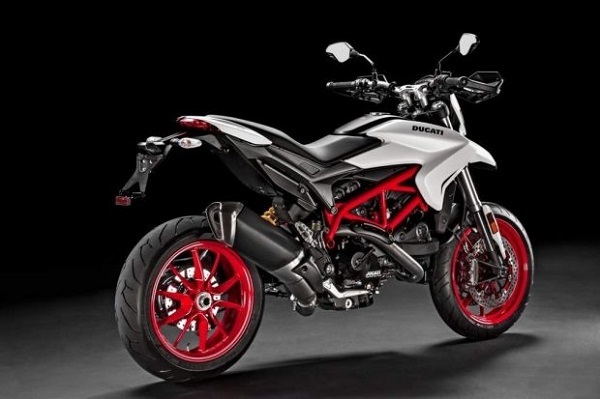 For purists, no problem since the red Ducati color with red frame and black rims still available in the range. This new color feel good on the bike and Superbiker is now available at the Ducati dealers. Ducati Motor Testastretta 11 Euro 4 110 hp and 95 Nm torque. Ducati Safety Pack: Three modes ABS brakes, traction control with 8 positions and 3 power cards. Fork Kayaba 43 mm and 170 mm travel. Seat located at 850 mm from the ground. Dry weight of 181 kilos. In the design of each motorcycle, Ducati constantly strives to guarantee maximum reliability and reduce maintenance costs. A commitment that allowed the intervals to be extended for the main revision, namely the Desmo Service (the revision during which the control and eventual adjustment of the clearance to the valves must be carried out), up to a mileage of 30 000 km for the Hyperbiker 939 and the Hyperbiker 939 SP.